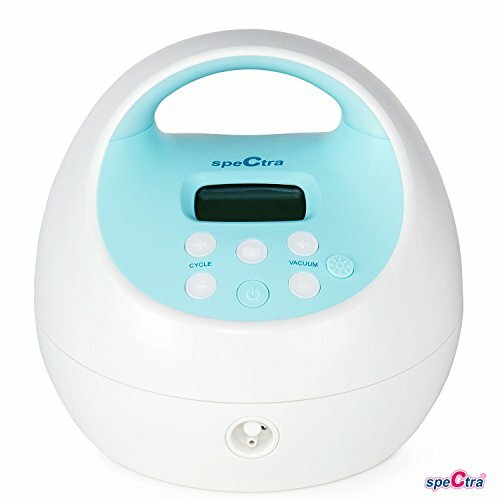 Loved by moms and lactation consultants worldwide, the Spectra S1 Plus Premier RECHARGEABLE Breast Pump is designed to bring confidence and comfort to every moment of the breastfeeding journey. The S1 is portable and quickly rechargeable for active moms, and also quiet and discreet for soothing pumping. The added night light allows you to easily pump at any hour. This pump conveniently weighs only 2.9lbs. With a maximum suction strength of 250mmHg and the ability to be used as a single or double pump, the S1 will be a great asset in your breastfeeding journey. The S1's completely flexible, touch button, with the S1 pump's digital controls allow you to set the pumping program to the speed and rhythm most effective for your body. The suction is adjustable in both let-down and expression mode. This quiet pump also includes a timer. Our Founder, Heidi Humphries, insisted on the quietest motor available for the S1Plus, which when in the “massage mode” simulates the natural suckling of baby. Spectra Baby spent years developing features for the S1 Plus like “backflow protection” to keep your breast milk from harmful bacteria. We thought hard about things like “adjustable suction levels” because it provides a more natural flow of milk. If you have any questions about this product by Spectra Baby USA, contact us by completing and submitting the form below. If you are looking for a specif part number, please include it with your message.